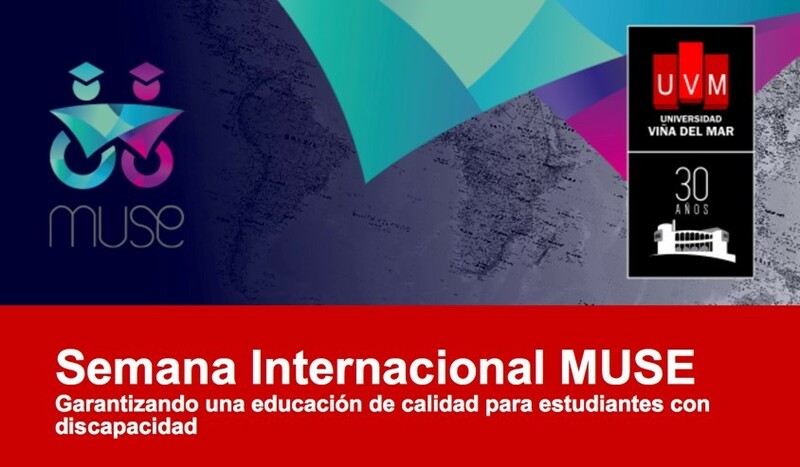 The 2nd National Chilean Roundtable “Internationalization, inclusion and innovation: Challenges for Higher Education in Latin America” will take place Tuesday 28th of August, 2018 in Campus Miraflores, Universidad Viña del Mar, Chile. The Final International Conference “Reaching 2020: Steps for Latin American Higher Education Institutions to achieve the United Nations’ Sustainable Goals in Inclusive Education” will take place the 29th, 30th and 31st of August, 2018 in Campus Miraflores, Universidad Viña del Mar,Chile. Registrations are open: To register for this week's events, we invite you to complete with your information the form included in the following link. https://es.surveymonkey.com/r/MUSEInternationalWeek. Admission to events will be allowed only with prior registration.